12. Where on earth do I get that? No, not the greaser. Although it's not really for set-up, it's obvious why you would want one of those! I'm referring to what follows below. It's not an exhaustive or even comprehensive list, nor does it imply any commercial link, except that I have bought stuff from all these businesses (unless otherwise noted) and received good service. Most are UK based, which usually makes for quicker, cheaper purchases for me, although I gather that there are Hong Kong based merchants who can provide very competitive prices for certain Chinese products. Most sell set-up related tools or equipment, but I haven't missed any off because they don't, as you may find them useful for spares, upgrades or helis (or even planks). Also check out ChopperAddict's Heli Stores Guide and ChopperAddict's Useful Links. There is some overlap, but two independent views may be useful. Hard to source upgrades for small helis. MicroHeli & Xtreme importer. Cheaper end of the market, though branching out. Very quick. Just had to put them in! They supplied me special CP2 drive shafts via MicroHeli. Exclusively RC heli specialists. Large stock & good range of tools and set-up stuff. 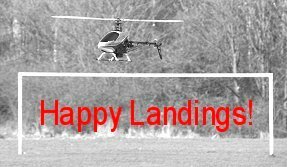 RC heli specialists. Good stock of parts & upgrades for better quality helis. Not used them much but seem good. Host Heliguy forum. Large stock of hard to source upgrades etc., but shipping can cost! See Aliciajay.com. Serious heli stuff mainly, huge stock & very efficient, owned by Mr Trevor Wallinger. Generally the cheaper helis, but they do some tools & Align spares. Home of Pete's (of Pete's Hobbies) wonderful miniature bearing greaser. Ronlund.com or RC Helicopter World, but I've only dealt with Pete. On-line RC Helicopter Store (T-Rex/E-Flite), brilliant service, good product range. Heli specialist, large range of stock incl. tools & set-up gear. Excellent family run business offering some unusual stuff, e.g. Sonix upgrades. Electric flight specialists. Mainly for planks, but full of useful gear. Good selection of electronic devices, electrical bits & radio gear etc. LHS, obvious where! All sorts of stuff, even heli flying lessons. Electric flight store. Limited stock. Good for accessories, oddly presented website. Robotics, models & technology supplies, good BECs. <1 Helis empty your wallet. © John E Wilson 2010 with thanks to all the businesses that have gladly taken my hard earned in exchange for wonderous RC goodies, tools, gadgets and supplies and to my friend and colleague Bill Boley for the in-flight photos.